A pair of physicists discovered a new kind of fusion that occurs between quarks – and they were so concerned with its power they almost didn't publish the results. It could have been the dawning of a new subatomic age. But as they've explored the idea they've discovered there are limits to its potential that we can be both disappointed by and thankful for all at once. "I must admit that when I first realised that such a reaction was possible, I was scared," Marek Karliner of Tel Aviv University toldRafi Letzter at Live Science. "But, luckily, it is a one-trick pony." 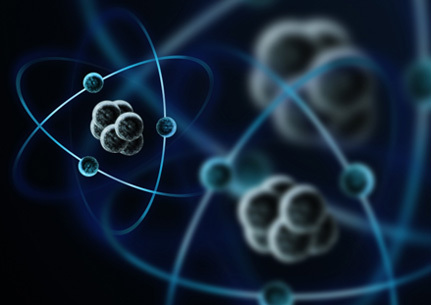 For over a century, we've understood that the particles making up the nucleus of an atom are held in place by an impressive amount of energy. Splitting them apart in an act called nuclear fission can release some of this energy. Joining them together under what's called fusion can potentially release even more energy. Rather than rearranging protons and neutrons, the pair investigated the smaller particles inside them – called quarks – rearranging in a similar way. Quarks come in a variety of flavours with different masses and odd sounding names: up, down, charm, strange, top, and bottom. Quarks can bond with one another in groups of three called baryons. The baryon Xi cc++, for instance, is made of two charm quarks and one up quark, which is a lot heavier than the up and down quarks you'll find in protons and neutrons. If we take deuterium (proton plus a neutron) and add energy to squish it against some tritium (proton plus two neutrons), it will scramble to make helium (two protons and two neutrons). That last neutron runs from the scene of the crime. For your effort, you get 17.6 megaelectron volts and an H-bomb. Karliner and Letzter ultimately calculated the fusing of the charm quarks in the recent LHC discovery would release 12 megaelectron volts. Not bad for two itty-bitty particles. But if we were using another pair of heavy quarks? Bottom quarks, for example? That becomes an astonishing 138 megaelectron volts. We'd like to imagine this caused the physicists to tap wildly at their calculator screens. Given such impressive energy output, our first reaction would be jubilation at a new way to produce copious amounts of energy from a small handful of materials. Followed by images of mushroom clouds. But, as it turns out, neither will happen. That leaves quark bombs and quark fusion drives to science fiction authors, and, thankfully, well out of the hands of rogue nations and terrorist cells. But while we lament or relax, depending on perspective, it's an amazing insight into the nature of mass and energy and how things always get weirder at the quantum scale.